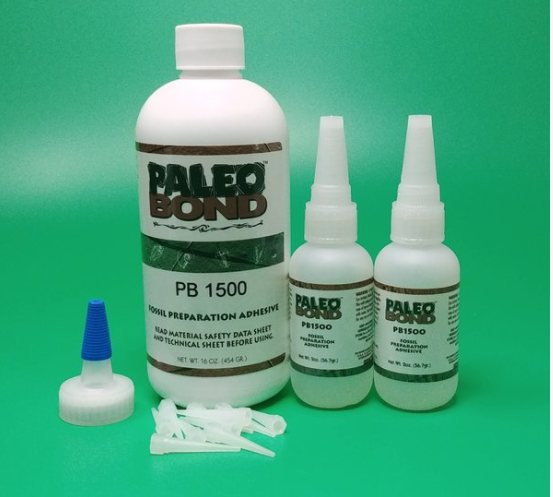 PB1500 is a large GAP FILLER, developed to bond fossil pieces together if they hardly touch. 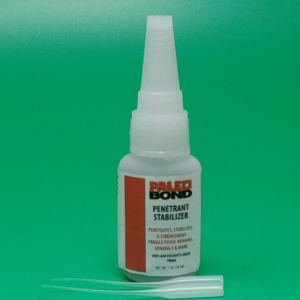 At 1500 cps, it is the thickest of the PaleoBOND liquid adhesives and slightly flexible. 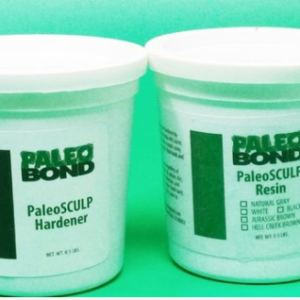 A spritz of PB303 or PB304 activator will initiate curing. Full cure in 24 hours. A very good product with high or low temperatures, it will change its flexibility to adjust. 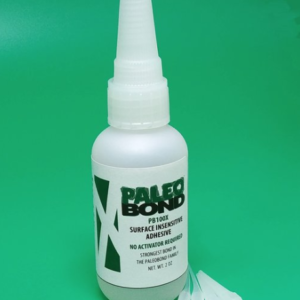 Remember, it cures from the outside in, so even though it may be dry to the touch, the adhesive below is still curing for up to 24 hours. 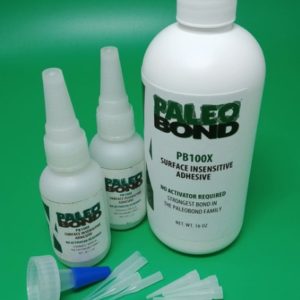 Kit includes: One 16 oz. bottle PB1500 plus 2 empty two ounce bottles, yorker and 10 stiff tips.